The spring of the year is a most welcome season. It is then that all life seems to renew itself, when the promise of the future appears brightest and hope rises to its zenith. Indeed it is a time of reawakened courage and confidence. Spring! A time of renewal, a revival in nature of the life that is all about us, but especially a reaffirmation of the divine promise of life everlasting! It was spring when the Savior made it all possible by his atoning sacrifice and his resurrection. It was in the spring when Jesus gathered his disciples about him and instituted the sacrament of the Lord’s Supper as a constant reminder of his crucifixion. It was in the spring when he prayed so humbly in the garden as he set the divine example by saying, “Not as I will, but as thou wilt” (Matt. 26:39). It was then also that he prayed so earnestly for his disciples, that they would be united as one in the heavenly cause, even as he and his Father are one (see John 17:11). In the early part of still another year he said to his followers, “Be one; … if ye are not one ye are not mine” (D&C 38:27). This oneness, this unity of action and purpose, was vital to the work. There was no room for conflict among his disciples, no place for dissension, for as Paul demanded of the contending Corinthians, “Is Christ divided?” (1 Cor. 1:13). When Jesus established his church nearly 2,000 years ago, it was in the hope that all mankind would come in a unity of faith and knowledge of the Son of God unto a state of perfection, that we might become Christlike in reality (see Eph. 4:13). But Christianity as we know it is not united. Among those who profess to believe in him there are wide differences, much conflict, contention, and even enmity at times, a thing which is utterly foreign to the humble prayer for unity which Jesus offered just before his crucifixion. Well might we ask with the Apostle Paul, “Is Christ divided?” It was he who pleaded with the Corinthians as they drifted apart, “I beseech you, brethren, by the name of our Lord Jesus Christ, that ye all speak the same thing, and that there be no divisions among you; but that ye be perfectly joined together in the same mind and in the same judgment” (1 Cor. 1:10). Paul named four subdivisions or separate denominations already existing in Corinth, a thing which he firmly condemned (see 1 Cor. 1:12–15). His former converts in that city actually began to alter the doctrines of Christ, even denying his resurrection (see 1 Cor. 15:12). But this was not all. Division continued to develop throughout Christianity in that first century after Christ. Most of the epistles of the New Testament were written to combat it. Paul reprimanded not only the Corinthians for their dissension, but also the Galatians, saying to them, “I marvel that ye are so soon removed from him that called you into the grace of Christ unto another gospel: Which is not another” (Gal. 1:6–7). He predicted dissension elsewhere when he said, “I know this, that after my departing shall grievous wolves enter in among you, not sparing the flock …, speaking perverse things, to draw away disciples after them” (Acts 20:29–30). Peter predicted the rise of false teachers, saying that “many shall follow their pernicious ways” (see 2 Pet. 2:1–2). To Titus, Paul said, “There are many unruly and vain talkers and deceivers” (Titus 1:10), and Jude wrote of mockers who even then walked “after their own ungodly lusts,” separating themselves from the church of God (see Jude 1:18–19). This secession continued even beyond the time of the Apostles. Historians tell us that during the first century of Christianity at least thirty different contending factions arose, splitting the original Church into a confusion of discordant sectarian groups. There was no longer any unity in Christianity. The Judaeo-Christians, who tried to Judaize the Christian religion by introducing Mosaic rituals, including circumcision. The Encratites, who used water instead of wine for the sacrament of the Lord’s Supper. The Gnostics, who confused gospel truth by mixing it with Greek philosophy. The Copts, who are still prominent in Egypt. The Syriac Christians, centered in Damascus, at that time one of the principal though paganistic cities in the Middle East. The Mandaeans, a baptist cult, who opposed the rise of sprinkling as a mode of baptism. The Hellenists, and a number of others. Within that same first century the apostles and prophets of Christianity ceased to exist, and the conflicting sects declared that they no longer needed either apostles and prophets or current revelation. To a large extent Greek scholarship and philosophy took their place. No other excuse could be found for the absence of those pillars of the Church. They are not needed even now, it is said by those who claim that the Bible contains the full word of God. This is sad evidence of the spiritual darkness that came into the world. So Christ’s church was destined to come back to earth. But it would arrive in the midst of these denominational conflicts, which have continued to multiply even to our own day. When it came, how could Christ’s restored church be distinguished from all the existing denominations? How would it be recognized? The scriptures clearly set forth definite marks of identification so that all who wish may avoid the confusion. Let us mention just a few of them. The members of the true church anciently did not call themselves Christians, for that was but a nickname applied to them in derision by those who hated Christ. The members of the Church called themselves saints, as may be seen from various New Testament references (see Rom. 16:2; 1 Cor. 1:2), which are confirmed by Webster’s dictionary and by the Bible scholars. This, then, is one of the identification marks of the true Church. The members are called saints. 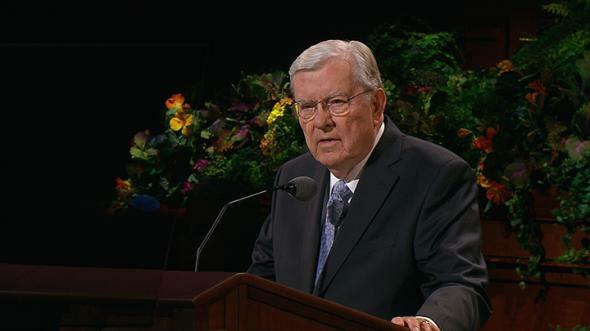 Another important sign is that the Church would be guided by constant revelation through living prophets. Amos had said that the Lord will do nothing except through his authorized prophets (see Amos 3:7). The divine Church as restored, then, will be led by living seers and revelators receiving current direction from heaven. Paul explained this to the Ephesians when he said that the whole Church rests upon a foundation of apostles and prophets with Jesus Christ as the chief cornerstone (see Eph. 2:19–20). He added that these apostles and prophets are to continue in the Church until we all become perfect (see Eph. 4:11–14; see also Matt. 5:48). But prophets also were placed in the Church for the work of the ministry. This would include preaching of the word, of course, but also it would be for the selection of those who were to serve in the ministry. Paul said that such persons must be called of God as was Aaron, who was chosen by current revelation through a living prophet (see Heb. 5:4; Ex. 28:1). Paul himself was called that way (see Acts 13:1–3). It is the divine pattern. Then the Lord’s true church may be further identified by the fact that its ministers are called of God as was Aaron, by current revelation given to a living prophet. This brings up the matter of communication between the Lord and his church. How could he direct his people unless he spoke to them? 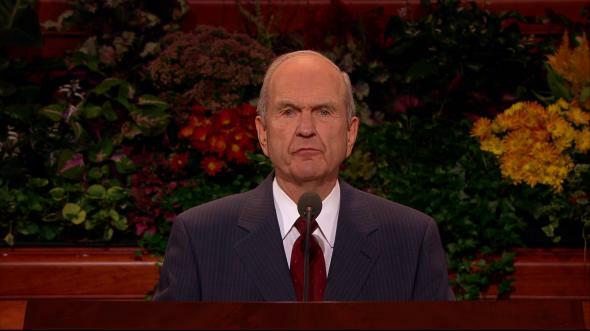 Such communication would constitute current revelation and would be given only in the approved manner to living prophets ministering here on earth. These are a few of the infallible signs of the true Church. But there are others. The Church of today must be of modern origin. Does that surprise you? Not an ancient church, but of modern origin. That is a vital sign of identification of the true church. The Apostle Peter indicated that the Church will be restored before Christ’s second coming (see Acts 3:19–21). John the Revelator confirmed this when he said that the Restoration would occur in the hour of God’s judgment, which could relate to none other than modern times (see Rev. 14:6–7). The Savior spoke of the same thing, adding that after the gospel is finally preached abroad as a warning to the nations, then will the end come (see Matt. 24:14). That certainly indicates modern times. Another vital sign of the true church is that it will produce new and additional scripture, in addition to the Bible, as was the case in ancient times. The Bible is a compilation of the books provided by ancient prophets, beginning with Moses, and then added to as each new prophet assumed his place in history. Thus the scripture became a growing thing. It was another pattern of the Lord. Since the Lord is the same in all generations, the true church today also must provide new scripture in addition to the Bible. There are various other signs of the true church too, but they are too numerous to mention in this short time. But let us say that no one isolated point can unerringly identify the Church. All the signs must be there, fitly joined together, as the Apostle Paul told the Corinthians (see 1 Cor. 1:10; see also Eph. 2:19–21; Eph. 4:11–16). If we seek the divine church we must find in it all of these infallible marks of identification. If these signs are lacking, it is fair notice that we must look elsewhere. 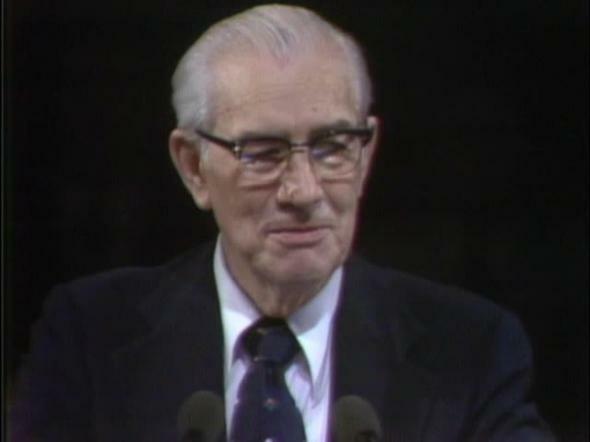 We Latter-day Saints testify that the Lord’s divine church has been restored to earth as the scriptures say, that it is of modern origin, that it provides new revelation and additional scripture, and that it stands today, as anciently, upon a foundation of living apostles and prophets, with Jesus Christ himself as the chief cornerstone. All the signs of the divine church are here, not just a few. They are available to everyone for careful examination. We spoke of spring, that time of resurgence of life and hope and joy. It was on a beautiful spring day in 1820 when the Almighty shattered the seal which had closed the heavens for centuries. He descended to the earth in the state of New York and called a modern prophet, a youth as pure and unspoiled and as promising as the spring day itself. This boy became a modern spokesman for God. Through him were all things restored as Peter said. And who was he? Joseph Smith, Jr., the seer and revelator of modern times. 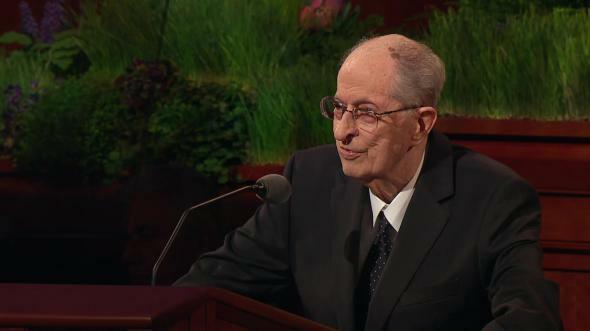 He labored humbly and completely under the direction of the Savior himself. Christ is the Master. Joseph was his servant. Christ is the Redeemer and Messiah for whose coming we eagerly wait. Joseph was the messenger sent to prepare the way before him. So now we have a new kind of springtime which is most significant, a heaven-sent springtime of world events, blossoming into a summer of resplendent spirituality. The cold and dark winter without heavenly guidance, when the heavens were sealed over our heads, gives way to the springtime of new revelation, when Christ brought back to earth his truth and his Church. New heavenly light has burst forth. A new day has dawned, a day of hope and truth which eventually will blend into a thousand years of Millennium and then on into eternal life in the kingdom of God. From this tabernacle the modern prophets speak. 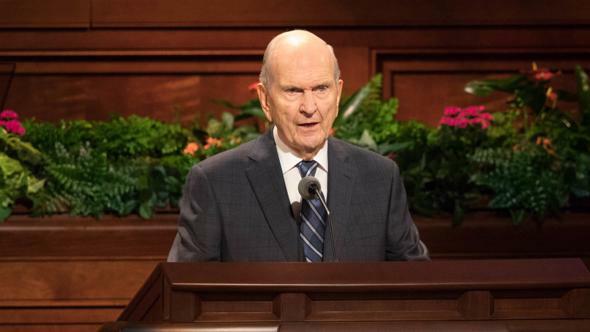 Our great present-day prophet, President Spencer W. Kimball, this morning gave to you God’s message for this present day, for the year 1979. He is the mouthpiece of God. He is the spokesman for God right now. So are his inspired counselors. So is the entire group of twelve inspired men, duly ordained as apostles of the Lord Jesus Christ, also for today. Prophets of God and apostles of the Lord Jesus Christ minister again on the earth. They are here now. They sit here before you. Unitedly and as one voice, they testify of him and for him. They testify to you and for you, and their testimony is true. God is no longer a remote being; he is here among us by his Holy Spirit. 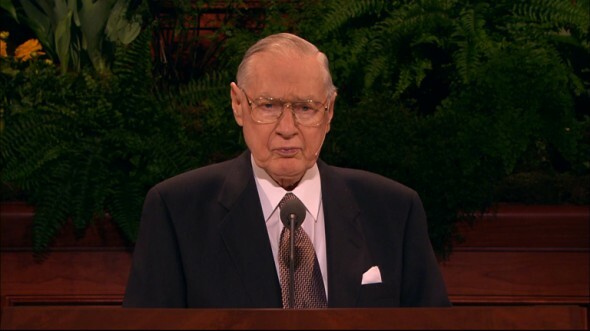 The Savior is no mythical person. He is a great reality and he lives. He too is here among us by his ordained representatives, the apostles and prophets. May we have the good sense to listen to these inspired men. May we be humble enough to accept their guidance. 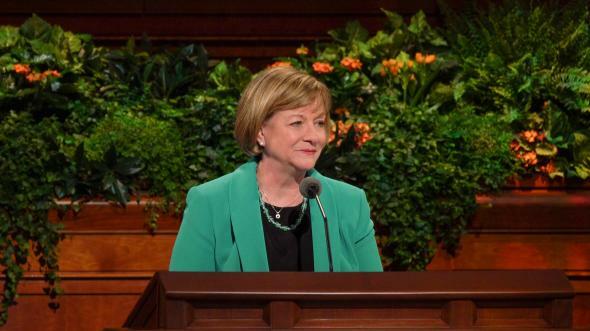 May we accept the invitation of the Savior to learn of him and to do so through the righteous men he has raised up today for the perfecting of the Saints, for the work of the ministry, and for the edifying of the body of Christ. For this I humbly pray, in the sacred name of the Lord Jesus Christ, amen.